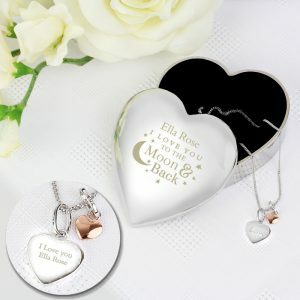 This necklace will surely take her breathe away when she unwraps it on her special day. 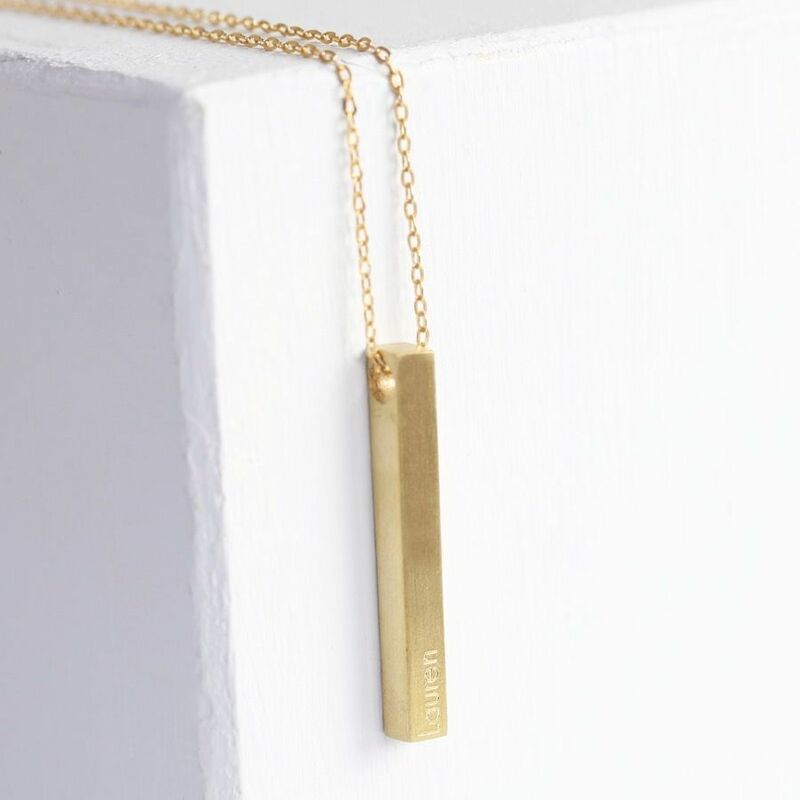 The Personalised Solid Gold Bar Necklace is available in 2 chain length sizes 40cm (16″) or 45 cm (18th) and you can choose either a polished finish or a brushed finish to the solid gold pendant. 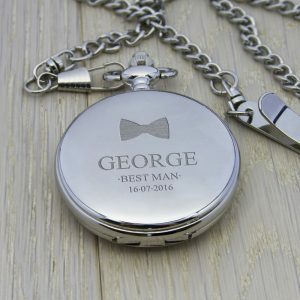 This truly special gift can also be personalised with any message you like up to 22 characters. Whether it’s a name, short message or a special date, this gorgeous necklace is sure to be something she will love! 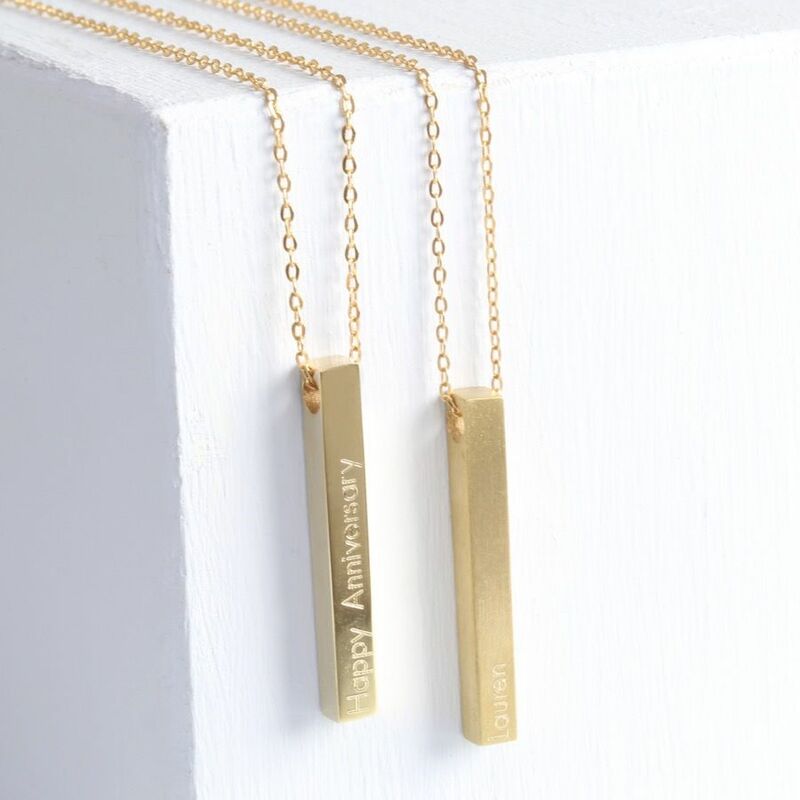 because personalised gifts make memorable keepsakes for any lady. 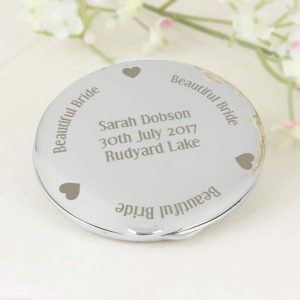 Such a thoughtful personalised gift for a bride, one that she’ll cherish for many years to come. 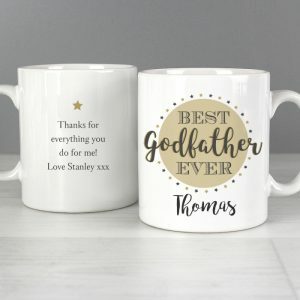 A stunning wedding anniversary present for her, a romantic birthday gift for a wife, and a wonderful valentines day present.